Oirase Gorge, Oirase Keiryu (奥入瀬渓流) in Japanese, is a famous picturesque spot in Aomori. 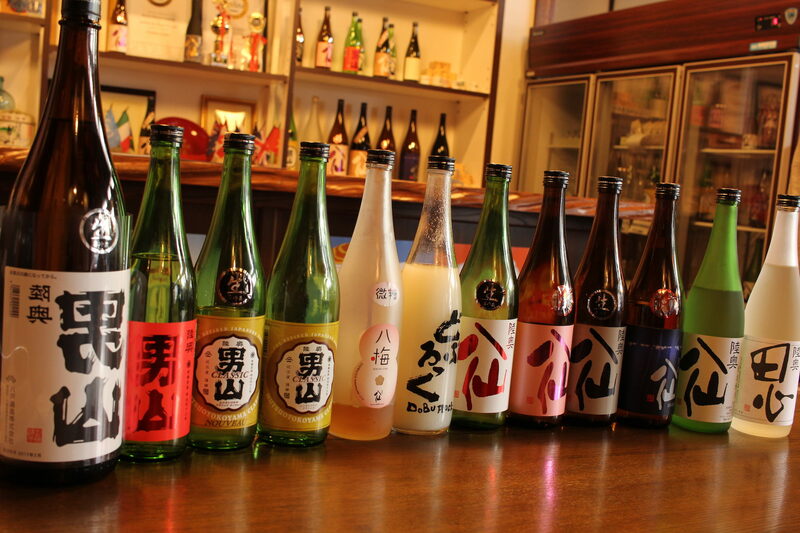 It is one of the must-see spots in Aomori which gives you beautiful sceneries in every season. 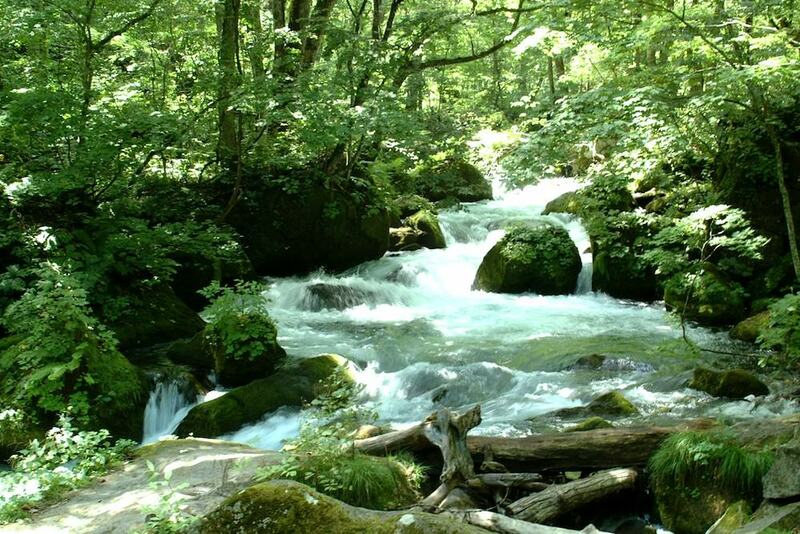 The gorge stretches from Lake Towada to Yakiyama and stretches for about 14 kilometers. Multiple waterfalls each has names and are extremely photogenic. 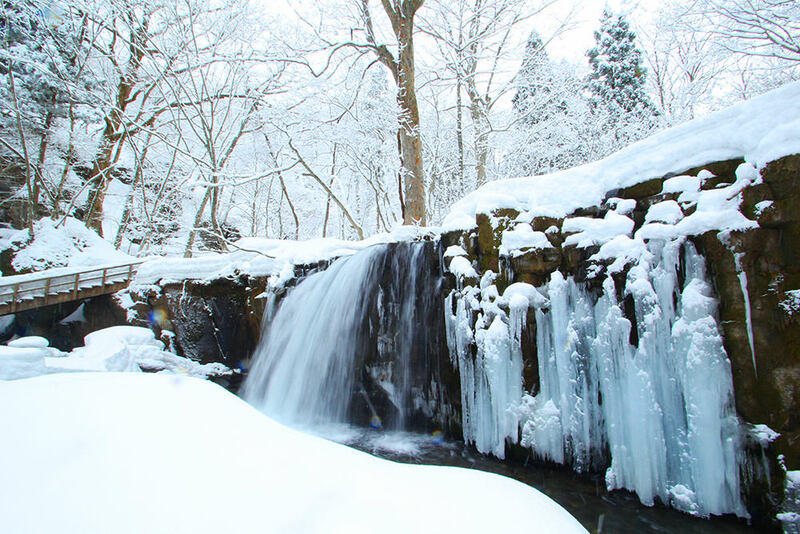 In winter, Oirase Gorge allows us to encounter frozen waterfalls and snow covered forests. Change to snow clothes and start the tour! I participated the tour operated by “Nature Experience Green House”. They provide multiple nature tours throughout the year. English guides are available, too. 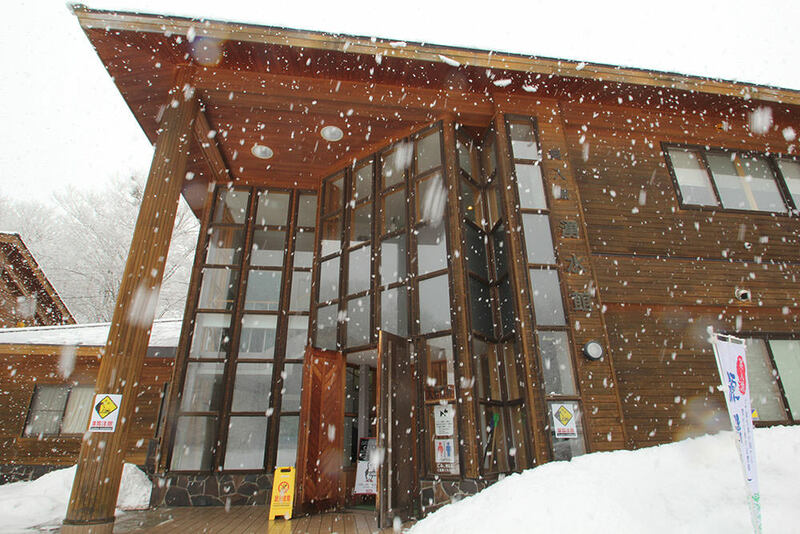 The office of Nature Experience Green House is in Oirase Wakimizu Kan. In winter, everywhere is covered with heavy snow. 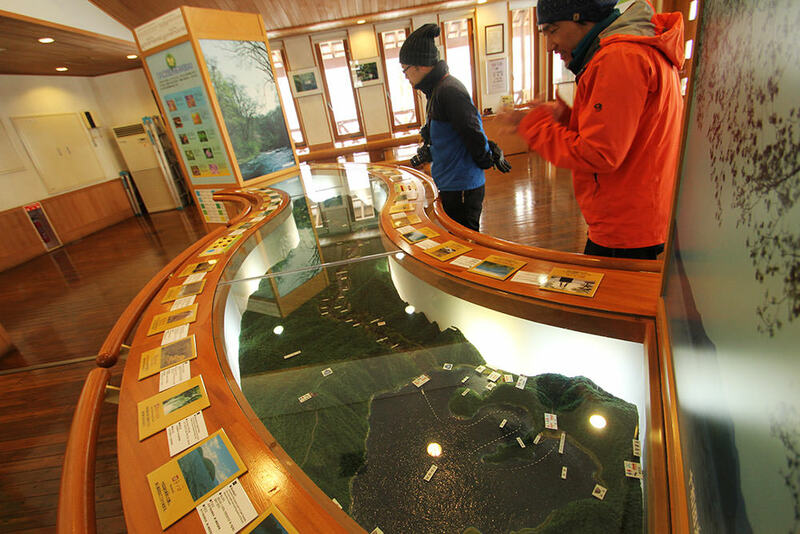 It is advisable to use public transportations or local taxi to get to Oirase Wakimizu Kan, the starting point of snow hike tour by Nature Experience Green House. After changing my clothes. I’m ready! 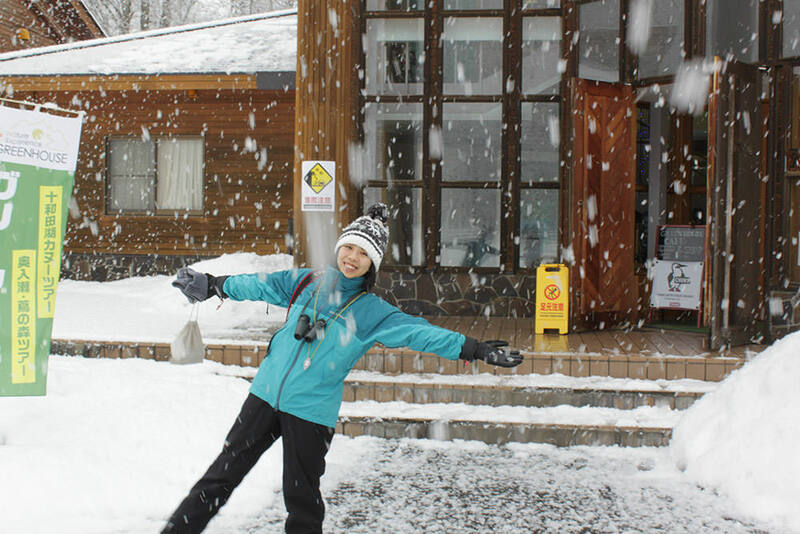 You should wear snow clothes and waterproof shoes to participate in this tour. Rentals are also available at Nature Experience Green House with fees. Since the gorge has the total distance of 14 kilometers, it is not realistic to walk around for the whole time, especially in winter. Don’t worry; the tour also uses a car. You won’t be walking for the whole time in below zero degrees! The guide first took us to Shimeikei (紫明渓). Shimeikei is the widest part of Oirase Gorge. Shimeikei looks very beautiful with snow on rocks. Then he took us to Ishigado Rest House (石ヶ戸休憩所) to show the overall picture of Oirase Gorge. It has a neat diorama which uses the real moss in Oirase Gorge! The guide explained us about Oirase Gorge using the diorama. Then we got on the car again and drove to the next spot, Makadoiwa (馬間岩). This is where you can get to see the huge icicle appeared in the JR’s promotion about Oirase Gorge. Before the visit, I thought this was a waterfall, but it was actually a huge group of icicles! It was slightly blue and was so beautiful. The guide told us that the color looks blue because water is too clear. The guide also showed us Kumoi Waterfall (雲井の滝). 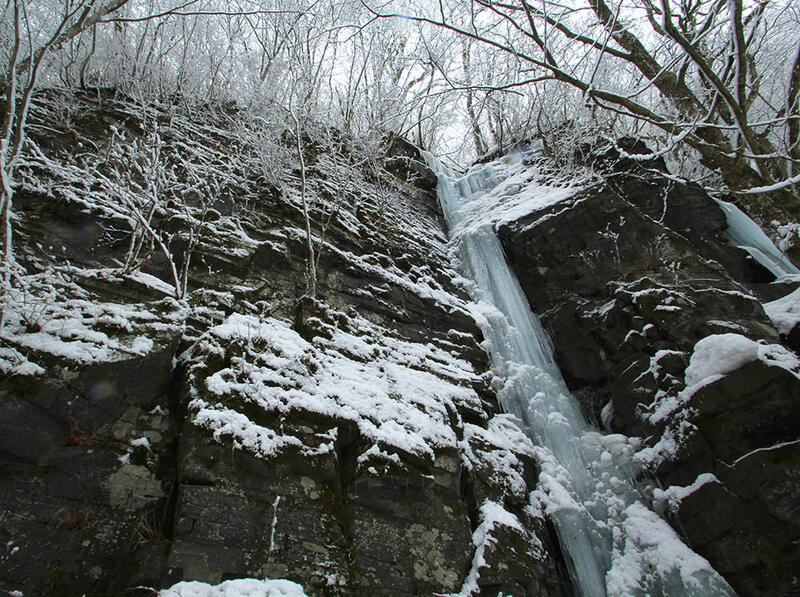 The height of waterfall was very high, but the waterfall was totally frozen. 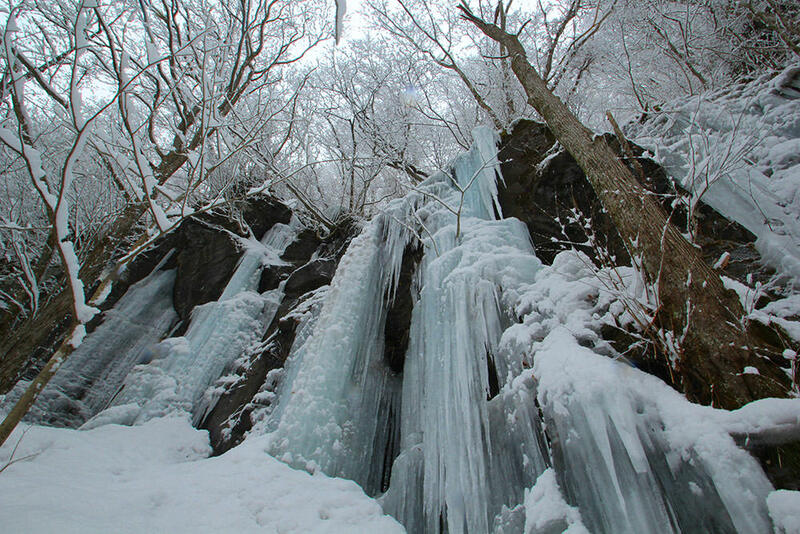 The most famous waterfall in Oirase Gorge, Choshi Waterfall (銚子大滝) was partly frozen, too. Choshi Waterfall is the widest waterfall in Oirase Gorge with the width of 20 meters! 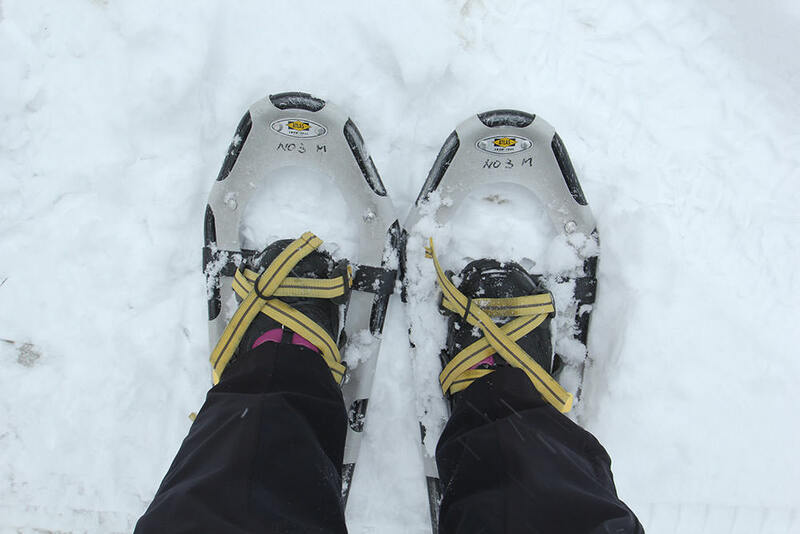 Put on snowshoes and start the snow hike! We also walked through the forests with snow shoes. This is the only experience you can have when you are with a nature guide. 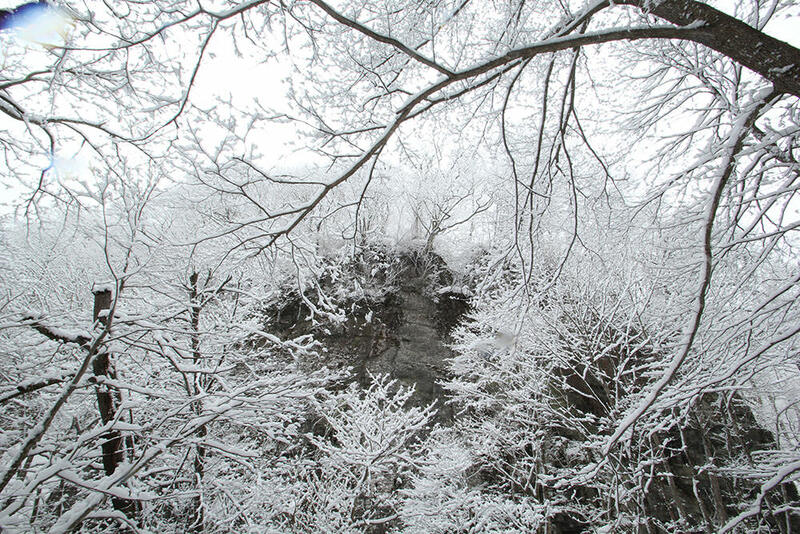 Put on snowshoes and let’s go hiking! We walked around the forests covered with heavy snow. The guide told us the place where we were walking was promenade in summer. It did not look like a road at all with this amount of snow. 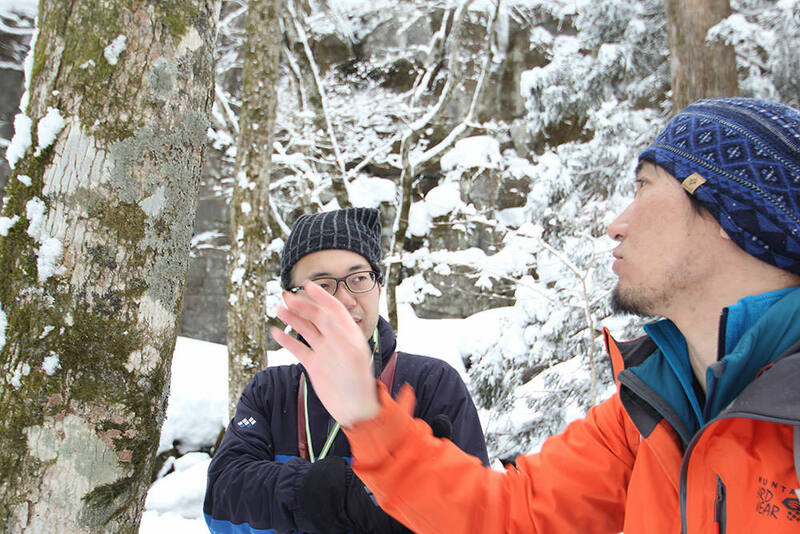 As we walked the forest, the guide taught us how to play with snow and about nature in Oirase Gorge. 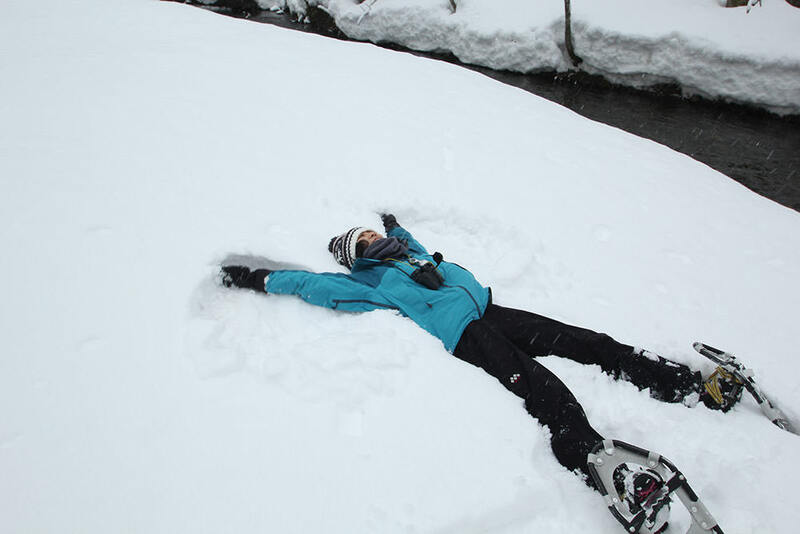 The guide taught us how to make “snow angel”! Using binoculars and magnifying glass, we learned about nature in Oirase Gorge. The guide let us use binoculars and magnifying glass. For example, about moss and branches with a face! 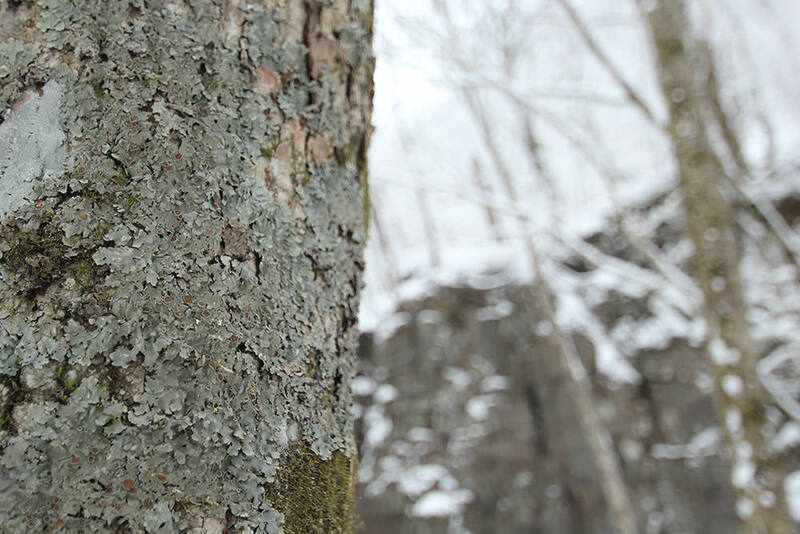 The bluish texture is not the skin of wood, they are all moss! 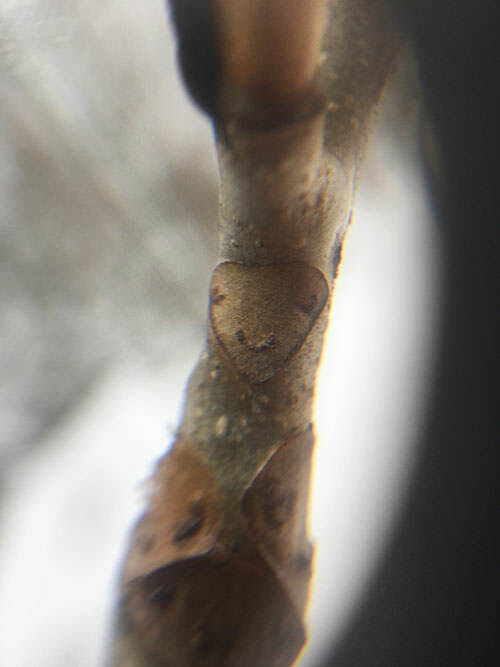 Cute “face” on a branch, seen by the magnifying glass. The guide told us a lot about nature in Oirase Gorge. A little coffee break in the end! At the end of the tour, we had a small picnic in the forest! What a wonderful situation to have a cup of warm drink. 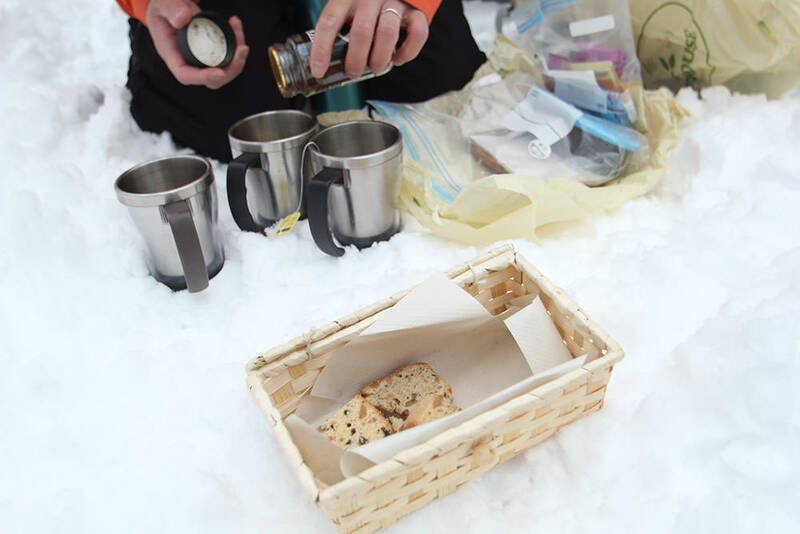 The warm drink felt so delicious after a long walk in cold winter forest. Oirase Gorge in winter was amazing. I had the most magical experience ever in an all-white forest, and I learned deeply about the natural environment in Oirase Gorge. The tour was 3 hours total but time went so fast. 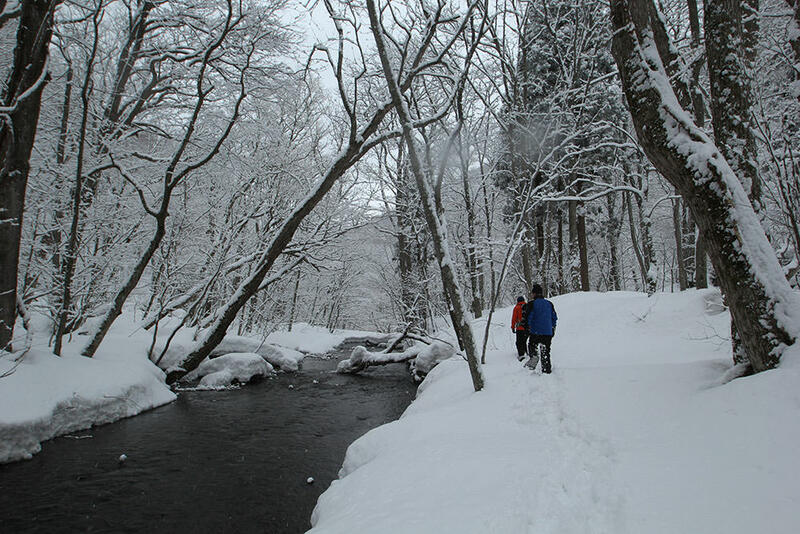 I’d recommend everyone to participate in this snow hike tour if you have a chance to visit Aomori in winter. Public transportation is limited in winter and available means change every year. Check the sightseeing association’s information.